So I’m vaguely familiar with Filter. I know that Richard Patrick used to play in Trent Reznor’s touring version of Nine Inch Nails before going on to form his own band. “Hey Man, Nice Shot” is a great tune as is “Where Do We Go From Here” but their biggest hit “Take A Picture” was way too light and poppy for me. I’ve never sought out any of their albums and when this arrived in my mailbox I wasn’t sure if I was going to get an alternative rock/pop album or something harder and a bit more industrial. Either way, I wasn’t sure if I was going to like this album but with time to kill, it decided to pop it in and press play. From the research I’ve done, The Trouble With Angels was a conscious effort by Richard Patrick to get back to a heavier more industrial sound. In other words, he wanted to get back to his roots (I’m told the last Filter album was a softer affair) and it has worked, in my opinion. 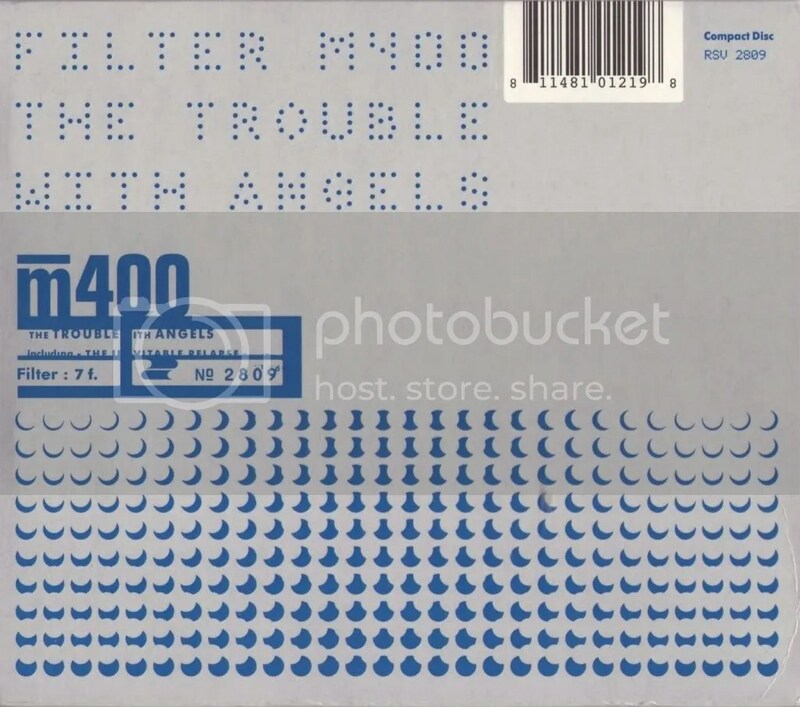 Granted, as previously stated, I haven’t exactly followed Filter’s career but this sounds like their harder, alternative stuff of the past with the exception of “Fades Like A Memory (Dead Angel)” which seems to be trying to tap into the same mainstream appeal that “Take A Picture” had while simultaneously retaining some bite and being far, far better than that hit song. The original version of the song appeared on the soundtrack for the movie 2012 in 2009. I’m surprised it didn’t chart when it was released as a single from that soundtrack. I keep mentioning (whenever I review an “alternative” band) that I’m not much of an alternative rock guy but I’ve really been enjoying some of the albums and bands I’ve been coming across lately that are outside my comfort zone. The Trouble With Angels has garnered much more play in my car and computer than I ever thought it would. I can only listen to so much industrial hard rock before it all starts sounding the same but there are more than enough hooks on this album to keep me and anyone else coming back for more. This album has been one of the year’s best surprises for me and it’s well worth seeking out for those that aren’t as narrow-minded as I usually am!